GB and I are lucky enough to be apart of an incredible group of friends, lovingly referred to as Homegrown. As I am relatively new to this family of friends I can't explain the history of how Homegrown came to be perfectly, but what I can say is this: In all honesty, I have never met a group of friends more loyal or devoted to one another. If anyone needed anything at any time there is a big list of people they can call and you can bet every single person would be there in a heartbeat. The Homegrown crew recently expanded. A beautiful couple, affectionately termed The Littles, had a beautiful baby girl! She is the first Homegrown baby! While this precious girl was growing in Mama Little's belly, the Homegrown clan gave her her first nickname, "Baby Dragon." I wasn't present at the time the name was given, but I can say this is a name that will stick. 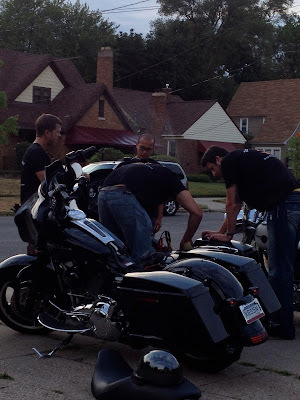 Much of the Homegrown family is living all around the country and when one of the guys came back to Michigan for a weekend, we took that opportunity to ride our motorcycles across the state to meet Dragon. 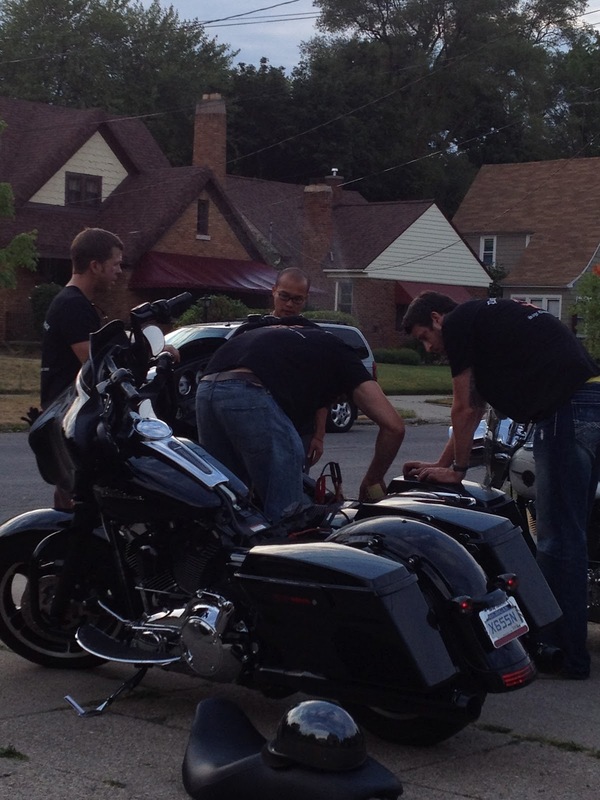 You can see below the boys performing some sort of medical exam to one of the Harley's. 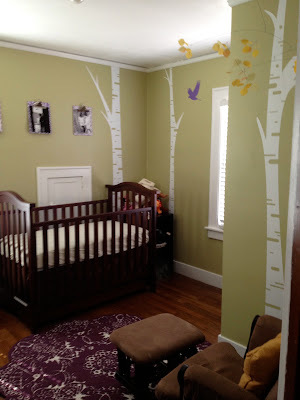 I was so inspired by the gorgeous DIY element of Dragon's nursery, I had to share this with my lovely Kiss My Smash readers. First, the room had wonderful white birch decals along the walls, accented with sweet little birds. 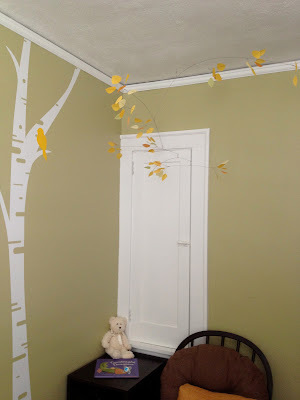 I've always wanted to do a room with decals, but have been afraid due to some horror stories. Now I know it can be done and well. Another awesome DIY element in the Dragon Lair is the photo display. Mama Little used scrapbook paper and Mod Podge to cover a clipboard. Each clipboard has captured a beautiful moment in the Little's lives. 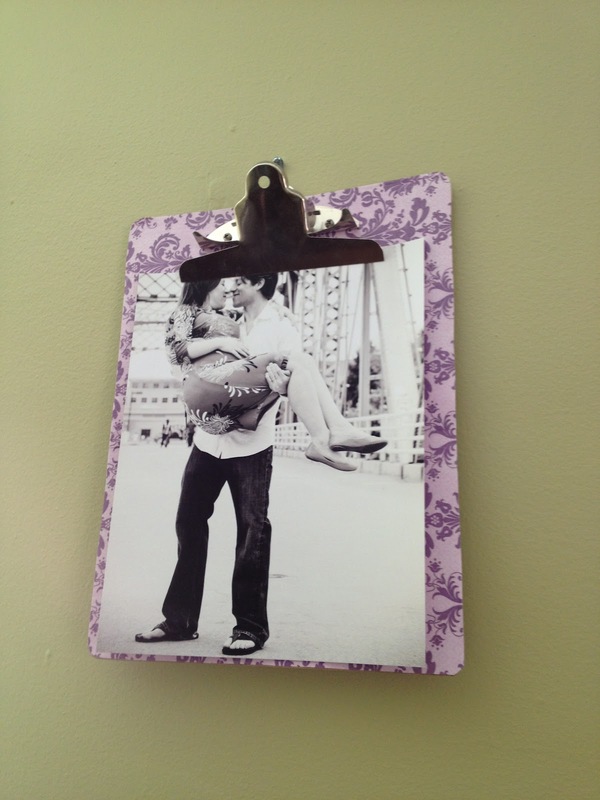 I love this clipboard idea. It couldn't be easier to change the photos, which is a necessity in a baby's room. I love the purple rug. I almost curled up on it and took a nap. 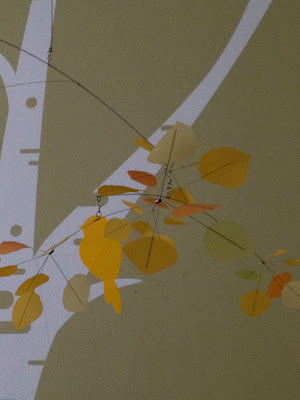 I could not have chosen a more perfect mobile. I don't think there is a more appropriate book for this corner. 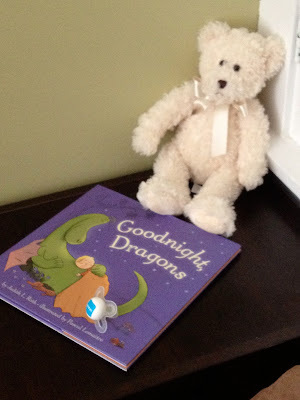 We had a wonderful time meeting Dragon. She is perfect, and I couldn't be happier for the Littles. They are going to be such incredible parents. Dragon is a lucky girl. 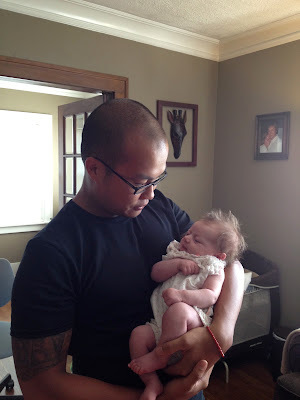 On a side note, seeing GB with a baby makes my heart swoon. As life continues to change around us, weddings, babies, new jobs - I've learned that some things can remain a constant - friends. I took those photos on the wall!!!! Yay!!! !